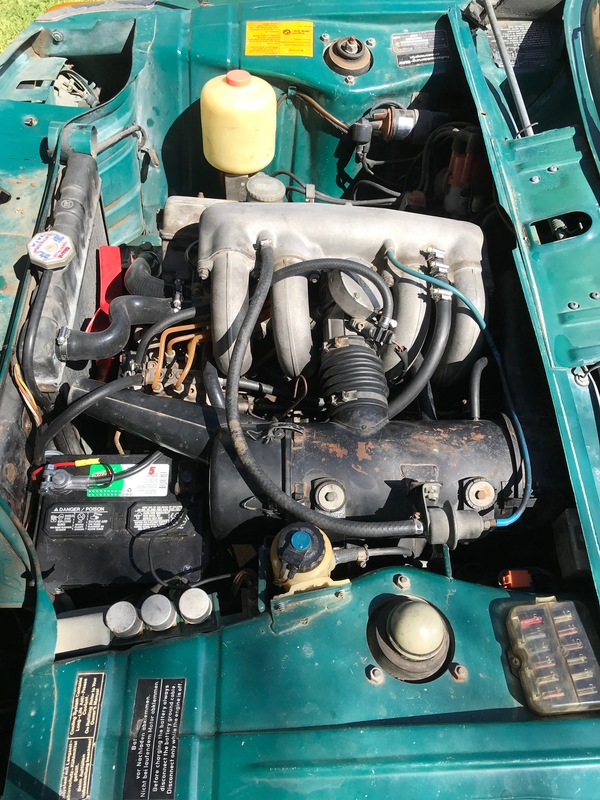 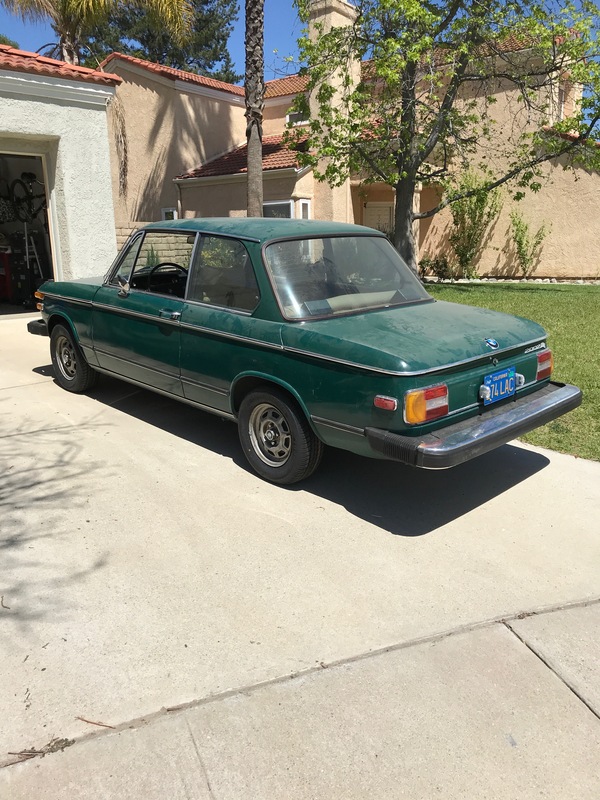 1974 Amazon Green 2002tii, very original SoCal "Barn find", stored 22 years and now resurrected, running wonderfully. 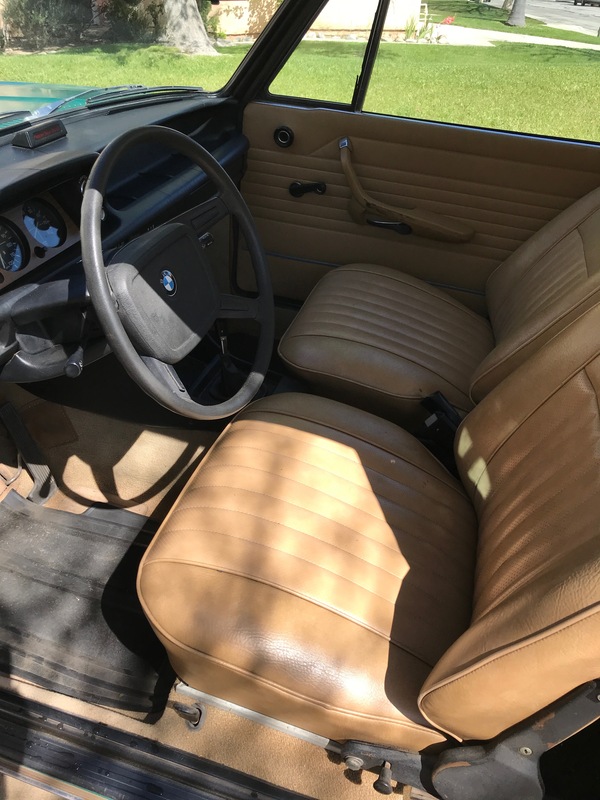 Only 53k original miles and very original. We've only replaced and serviced what's been needed to get the car resurrected. 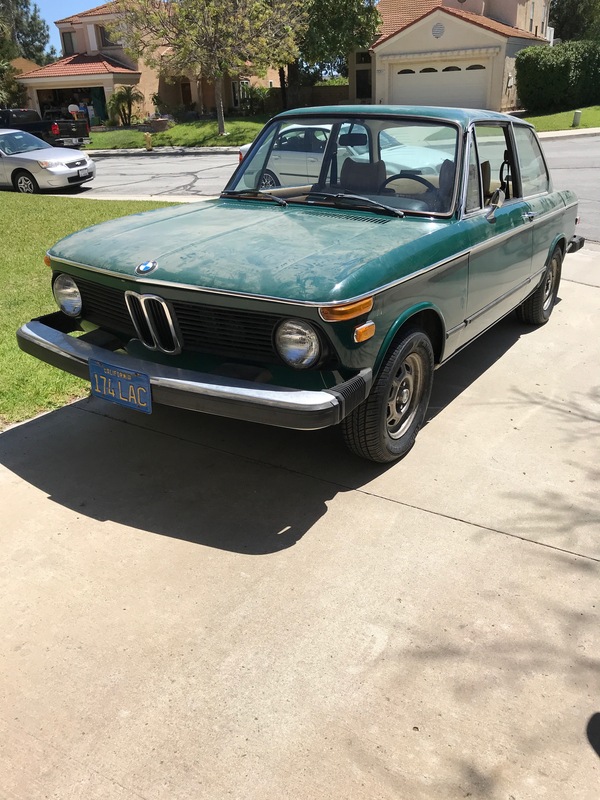 Looks like it had received a nose replacement with a standard "snorkel" nose and it had received a respray, likely at that time.